Are Stuart And Rose Carson Planning To Plead? There could be a lot of reasons for the latest order in the Carson case. Valve-maker Control Components Inc. (CCI) of Rancho Santa Margarita, California pleaded guilty Friday to violating the anti-bribery provisions of the Foreign Corrupt Practices Act (15 U.S.C. §78dd-2) and the Travel Act (18 U.S. C. §1952). It admitted bribing foreign officials in a decade-long scheme to secure contracts in about 36 countries. CCI's plea agreement requires it to pay a criminal fine of $18.2 million, implement an anti-bribery compliance program, retain a compliance monitor for three years, serve a three-year term of organizational probation, and cooperate with the DOJ's ongoing investigation. 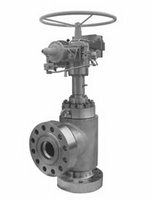 CCI designs and manufactures service control valves for use in the nuclear, oil and gas, and power generation industries. Its website is here. It's owned by British-based IMI plc, which trades on the London Stock Exchange under the symbol IMI.L. The corrupt payments were made to foreign officials at state-owned entities including Jiangsu Nuclear Power Corp. (China), Guohua Electric Power (China), China Petroleum Materials and Equipment Corp., PetroChina, Dongfang Electric Corporation (China), China National Offshore Oil Corporation, Korea Hydro and Nuclear Power, Petronas (Malaysia) and National Petroleum Construction Company (United Arab Emirates). From 2003 through 2007, CCI made about 236 corrupt payments to foreign officials in more than 30 countries amounting to $4.9 million. The bribes resulted in sales that produced net profits of about $46.5 million. Two former executives of CCI pleaded guilty earlier this year to conspiring to bribe officers and employees of foreign state-owned companies on behalf of the valve company. Mario Covino, CCI’s former director of worldwide factory sales, pleaded guilty on Jan. 8, 2009 to one count of conspiracy to violate the FCPA and admitted to causing the payment of $1 million in bribes to officers and employees of several foreign state-owned companies. Richard Morlok, CCI’s former finance director, pleaded guilty on Feb. 3, 2009 to one count of conspiracy to violate the FCPA and admitted to causing the payment of $628,000 in bribes to officers and employees of several foreign state-owned companies. Covino and Morlok are scheduled to be sentenced on Jan. 25, 2010. On April 8, 2009, six former CCI executives were charged in a 16-count indictment with violating the FCPA and the Travel Act (here). They're Stuart Carson, CCI’s former chief executive officer, Hong (Rose) Carson, CCI’s former director of sales for China and Taiwan, Paul Cosgrove, CCI’s former director of worldwide sales, David Edmonds, CCI’s former vice president of worldwide customer service, Flavio Ricotti, CCI’s former vice-president and head of sales for Europe, Africa and the Middle East, and Han Yong Kim, the former president of CCI’s Korean office. Hong (Rose) Carson was also charged with one count of destruction of records in connection with a matter within the jurisdiction of a department or agency of the United States. Their trial is currently scheduled for Dec. 8, 2009. As the DOJ says, an indictment is merely an accusation and the defendants are presumed innocent until and unless found guilty at trial beyond a reasonable doubt. Download the DOJ's July 31, 2009 release here. Download Mario Covino's plea agreement here. Download Richard Morlok's plea agreement here. Two U.K. citizens who allegedly helped Houston-based Kellogg Brown & Root (KBR) bribe Nigerian officials were indicted for violating the FCPA. Jeffrey Tesler, 60, of London, England, and Wojciech Chodan, 71, of Maidenhead, England, were indicted on Feb. 17, 2009 by a federal grand jury sitting in Houston. The Justice Department unsealed the indictments after Tesler's March 5 arrest by British police, who acted at the request of U.S. authorities. Chodan hasn't been arrested but faces an outstanding U.S. warrant. The DOJ said it will try to extradite Tesler and Chodan from the U.K. to stand trial in the U.S. The bank said in a short statement that "it has recently uncovered actions initiated by an employee based in China in an overseas real estate subsidiary that appear to have violated the Foreign Corrupt Practices Act. Morgan Stanley terminated the employee, reported the activity to appropriate authorities and is continuing to investigate the matter." In December 2008, the China-based managing director of Morgan Stanley Real Estate in Shanghai, Garth Peterson, left the bank. And Morgan Stanley's global head of property investing, Sonny Kalsi, was placed on administrative leave. Some of Morgan Stanley's property projects involved investments with government-linked Chinese enterprises. Several high-ranking Chinese officials from Shanghai have been arrested in recent years for corruption in connection with deals in the property market. Houston-based global engineering firm Kellogg Brown & Root LLC (KBR) pleaded guilty to a five-count criminal information, with one conspiracy count and four substantive counts of violating the Foreign Corrupt Practices Act. KBR agreed to pay a $402 million fine, the second largest criminal fine for an FCPA violation, following Siemens' $450 million penalty in December 2008. KBR’s parent company, KBR Inc., and its former parent company, Halliburton Company, also settled civil FCPA charges with the Securities and Exchange Commission, agreeing to be jointly liable to pay $177 million in disgorgement. The SEC's complaint alleged that Halliburton's internal controls failed to detect or prevent the bribery, and that its records were falsified to cover up the illegal payments. KBR admitted paying Nigerian officials at least $182 million in bribes for engineering, procurement and construction contracts awarded between 1995 and 2004 to build liquefied natural gas facilities on Bonny Island, Nigeria. The contracts to an international joint venture led by KBR were worth more than $6 billion. KBR's former CEO, Albert "Jack" Stanley, pleaded guilty in September 2008 to conspiring to violate the FCPA. His sentencing is scheduled for August 2009. The SEC filed a settled civil injunctive action in the U.S. District Court for the District of Columbia against New York-based ITT. 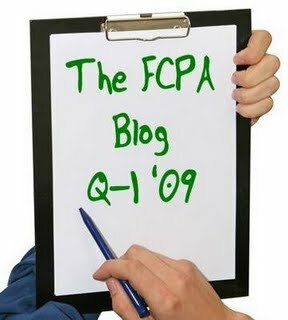 The complaint alleged violations of the FCPA's books and records and internal controls provisions. ITT agreed to disgorge $1,041,112, together with prejudgment interest of $387,538.11, and pay a $250,000 civil penalty. The SEC said ITT self-reported the violations, cooperated with the SEC's investigation, and instituted remedial measures. The violations resulted from payments to Chinese government officials by ITT's wholly-owned Chinese subsidiary, Nanjing Goulds Pumps Ltd. (NGP). From 2001 through 2005, NGP paid about $200,000 in bribes to employees of Chinese state-owned enterprises. ITT generated over $4 million in sales through the bribes and made profits of more than $1 million. Richard Morlok, 55, the former finance director of California-based Control Components Inc., admitted that from 2003 through 2006, he arranged corrupt payments to foreign officials of about $628,000. The payments, usually made through agents, went to employees at state-owned enterprises in order to assist in obtaining and retaining business for his company. He was charged in a one-count information with conspiring to violate the FCPA. He faces up to five years in prison. 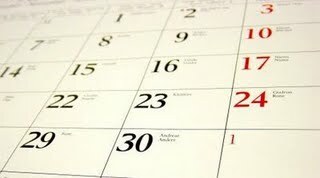 His sentencing is scheduled for July 2009. Morlok said in his plea agreement that Control Components, which designs and makes valves for the oil, gas, nuclear, coal and power plant industries, earned about $3.5 million in profits from contracts obtained through the bribes. Illegal payments, he said, went to employees at China National Offshore Oil Company, PetroChina, Jiangsu Nuclear Power Corporation (China), KHNP (Korea), Rovinari Power (Romania) and Safco (Saudi Arabia), among others. Morlok said that during a 2004 audit he provided false and misleading information about Control Component's commission payments to agents. The company is owned by British-based IMI plc, which trades on the London Stock Exchange under the symbol IMI.L. Mario Covino, 44, an Italian citizen living in Irvine, California and formerly the worldwide sales director for Control Components Inc. (see Richard Morlok above), pleaded guilty in federal court in Santa Ana to a single count of conspiring to violate the FCPA by paying at least $1 million in bribes to foreign officials in several countries. He's cooperating in an ongoing federal investigation and waiting to be sentenced in July 2009. He faces up to five years in prison. Covino arranged for company employees and agents to pay about $1 million to employees at state-owned foreign enterprises from March 2003 through August 2007. He said his company made about $5 million in profits from the business obtained through the bribes. According to the plea agreement, some of the corrupt payments went to officials at Petrobras (Brazil), Dingzhou Power (China), Datang Power (China), China Petroleum, China Resources Power, China National Offshore Oil Company, PetroChina, Maharashtra State Electricity Board (India), KHNP (Korea), Petronas (Malaysia), Dolphin Energy (UAE) and Abu Dhabi Company for Oil Operations (UAE). Click on the party names for the original posts, with links to the charging documents, settlements, and news and litigation releases.